500 AD -- > Late 1700s: Archeological artifacts indicate the area where Sweet Springs is located was originally settled by the Chumash who lived there through the late 1700s. 1769 -- > 1770: The area was subsequently “discovered” by the Spaniard Captain Gaspar de Portola on the ‘Sacred Expedition’ from Mexico through San Diego to Upper California from 1769 to 1770. 1893: A map of “The Town of Sunshine Beach,” filed with the County Recorder’s office by Norman Harrison and D.R. Oliver, depicts a number of lots terminating where Sweet Springs, central and east, are currently located. The subdivision was never developed. 1919 -- > 1925: There may have been other interim players before this time frame, however Walter Redfield was an early real estate developer who saw potential in what bankers at the time apparently viewed as “useless sagebrush land.” Redfield purchased 3000 lots in 1919 in what is currently Baywood/Los Osos/Cuesta By The Sea. Redfield sold many of those lots for $10.00 each. Sweet Springs was likely a part of Redfield’s holdings. He also acquired an interest in 340 acres of eucalyptus trees in 1925 on the corner of Los Osos Valley Road and Pecho Road. 1920: Apparently, another owner was Charles Ferrell, who owned 220 acres that included Sweet Springs. He is credited with building the “Duck Inn” around 1920. According to an interview with Emma Ferrell by Joan Sullivan before she passed away, the Ferrells planted the cypress. 1921: William & Lydia Mickle, Canadian farmers, purchased 18 acres from the Ferrells, including central and east Sweet Springs, and continued to operate the Duck Inn. 1924: Richard Stuart Otto is the one who came up with the name Baywood Park, and he started developing it in 1924. At the time, he was another real estate developer and engineer that purchased some of Redfield’s lots. By his own account, he planted over 20,000 trees–primarily cypress and Monterey pine–with most of them lining the streets. His widow, Shirley Otto, related that she had no recollection of who planted the trees on Sweet Springs, and indicated that her husband never planted any eucalyptus trees. 1948: Henry Bumpus purchased 18 acres and, in 1972, he sold the eastern parcel to Jan & Tom Corr. 1948: Harold & Orlien Broderson purchased Sweet Springs central and are credited with excavating the ponds for irrigating a potato farm nearby. 1957: Morro Palisades Company (MPC) purchased land that including the central and west portions of Sweet Springs. Late 1960s: MPC developed a mobile home park. 1972: Jan & Tom Corr purchased the eastern parcel from Henry Bumpus. The Corrs encountered community opposition when, at one point, they attempted to donate the land to be used for a library. Around 1975: Morro Coast Audubon Society (MCAS) was interested in Sweet Springs and wrote to the California Wildlife Conservation Board urging preservation of the area. 1981: MPC applied for permits to build a hotel on Sweet Springs. 1985: After encountering considerable resistance from the community, MPC abandoned their plans and decided to donate 24 acres, comprising Sweet Springs central and west, to the State Coastal Conservancy (SCC). The SCC sought the views of MCAS on preservation of the many outstanding natural resources of the site. Members of the chapter worked closely with SCC staff to develop a conceptual plan for the property. 1986: At adoption of the plan, the SCC granted stewardship to MCAS together with a grant to fund the required studies and necessary improvements. MCAS’s Board of Directors appointed a committee to provide specific planning and management direction. The Committee selected the firm Perspective Planning to prepare a site assessment and to recommend specific measures to protect and enhance the property’s wildlife and habitats, and to manage public access and use. Design and biological assessments were performed and the plan began to make its way through the governmental approval process. 1989: The SCC donated the land to MCAS. November 9, 1989: Groundbreaking! The plans included two footbridges, paths, benches, informational signs, a perimeter fence, educational programs, and provided for monitoring of the flora and fauna for at least 5 years. June of 1992: Sweet Springs was deeded to Morro Coast Audubon Society, and the Sweet Springs Endowment Fund was opened with contributions and with a transfer from the general fund. Early activities included eradicating invasive species, planting of oaks and other native plants, and weekly watering of all the new plantings. 2002: Plans were drawn up for a boardwalk and observation platform to replace the trail at the south end of the preserve. These plans were submitted to the county and the SCC. The California Conservation Corps performed the work. July 13, 2002: Official opening of Sweet Springs Nature Preserve! January, 2007: An information board was installed at the Sweet Springs viewing platform to assist birders in identifying the birds that can be seen from the viewing platform. Several memorial benches were placed at various locations in the preserve. 2008: MCAS acquired an additional 8 acres, known as Sweet Springs East, located adjacent to the already established Sweet Springs Nature Preserve. The Trust for Public Land (TPL) deeded the property to MCAS using funds from the California Wildlife Conservation Board, the U.S. Fish & Wildlife Service, and the SCC. The SCC additionally provided grant monies to begin restoration and access improvements on the property. Audubon California also provided funds to cover closing costs and additional expenses incurred at the time of acquisition. Upon acquisition of the property, biological, archeological, and other required surveys of the Sweet Spring East property began. Upon finding that the property provided habitat for a federally endangered species, the Morro Shoulderband Snail, MCAS retained SWCA Environmental Consultants to prepare a Recovery Action Plan for this species. The overall management goal of the Sweet Springs East project is to balance resource protection with public access and interpretation. 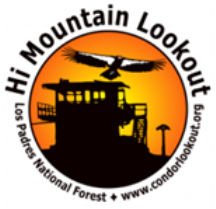 To help prepare the required Minor Use Permit (MUP) for the County, MCAS enlisted the help and expertise of The Land Conservancy of San Luis Obispo County. September 2011: The MUP was filed with the County. The County requested additional information and changes to the ADA parking and access component of the plan with accompanying trail realignment. The County also requested biological studies designed to assess how raptors and monarch butterflies currently use the property. SWCA Environmental Consultants was retained to conduct the surveys. Fall 2012: To expedite the permitting process by the County, the MCAS Board decided to eliminate the planned removal of eucalyptus trees found on the property from the MUP for the time being and focus only on the access improvements. Winter 2012-13: MCAS conduct further winter studies to more accurately determine how these species use Sweet Springs East. 2017: Fund raising takes place to fund improvements to Sweet Springs East. July 2017: Construction begins on improvements to Sweet Springs East. Nov 2017: Grand opening celebration was held at Sweet Springs East. 1986-present: For over 30 years Sweet Springs Nature Preserve has been managed and protected by dedicated MCAS Board members and volunteers.